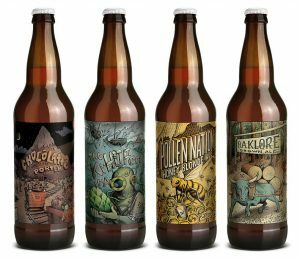 IRVINE, Calif., Dec. 14, 2016, ALES /PRNewswire/ — Evans Brewing Company (OTCQB: ALES), a producer of award-winning craft beers and owner of The Public House restaurant and tap room, today announced they have signed a 10 year lease for their second Public House location adjacent to The Triangle in Costa Mesa, CA. The Triangle is one of Orange County’s premier dining and entertainment destinations. The second Public House by Evans Brewing Co. will be located at 110 Broadway, Costa Mesa close to a number of popular bars and restaurants along Newport Boulevard near the Costa Mesa and Newport Beach border. “Our second Public House will have the same look and feel as our DT Fullerton location but will also have a Craft Beer Lounge as well as an upstairs private Cigar Lounge,” stated Mike Rapport, CEO of Evans Brewing Company, Inc. “This location fits within our overall strategy to locate the Public House in established entertainment areas where we can take advantage of the existing clientele that already visit the area,” added Mr. Rapport. “The strategy behind opening our second The Public House is to continue to put our brand in front of our target consumer in a way thatother craft brewers cannot,” recounted Mr. Rapport. “In an ever competitive craft brewing world, we believe that The Public House is the best way to create consumer awareness of our beers and grow our brand in our home market, Orange County, California,” concluded Mr. Rapport. 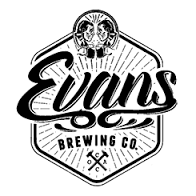 To see the full range of Evans branded products, including core year-round offerings, seasonal beers, and special releases as well as The Public House menu, please visit http://www.evansbrewco.com. About Evans Brewing Company, Inc.
Evans Brewing Company (www.evansbrewco.com) brews and distributes premium craft brands that have been honored with over 20 international awards. Operating the oldest brewery in Orange County, California, Evans Brewing supplies restaurants, retailers and beer drinkers across 7 western states. The company also offers its ales and lagers, along with a comprehensive Gastropub food menu at its restaurant and tap room, The Public House by Evans Brewing Company (http://www.evansbrewco.com/pub/#thebrewery-1). Potential future plans include additional brewing and tap locations, additional restaurants, broader product distribution, and an expansion of the beer brands currently under management. For more information, visit http://www.evansbrewco.com/thebeer#beer or email us at investors@evansbrewco.com. This press release may contain statements, estimates or projections that constitute “forward-looking statements” pursuant to the safe harbor provisions of the U.S. federal securities laws. Generally, the words “believe,” “expect,” “intend,” “estimate,” “anticipate,” “project,” “will” and similar expressions identify forward-looking statements, which generally are not historical in nature. Forward-looking statements are subject to certain risks and uncertainties that could cause actual results to differ materially from Evans Brewing Company’s historical experience and present expectations or projections. These risks include, but are not limited to, changes in general economic, business and political conditions, developmental delays or disruptions inherent with new products, and risks of reduction in revenue from the elimination of existing and potential customers due to consolidation or new laws or regulations affecting the craft brewing industry, and other risks detailed in Evans Brewing Company’s filings with the Securities and Exchange Commission (“SEC”), including the “Risk Factors” sections of our filings, and subsequent SEC filings. You should not place undue reliance on forward-looking statements, which speak only as of the date they are made. Evans Brewing Company expressly disclaims any obligation or intention to publicly update or revise any forward-looking statements unless otherwise required by law.